For sale is my motherÃƒÆ’Ã†â€™Ãƒâ€ Ã¢â‚¬â„¢ÃƒÆ’Ã¢â‚¬Å¡Ãƒâ€šÃ‚Â¢ÃƒÆ’Ã†â€™Ãƒâ€šÃ‚Â¢ÃƒÆ’Ã‚Â¢ÃƒÂ¢Ã¢â‚¬Å¡Ã‚Â¬Ãƒâ€¦Ã‚Â¡ÃƒÆ’Ã¢â‚¬Å¡Ãƒâ€šÃ‚Â¬ÃƒÆ’Ã†â€™ÃƒÂ¢Ã¢â€šÂ¬Ã‚Â¹ÃƒÆ’Ã¢â‚¬Â¦ÃƒÂ¢Ã¢â€šÂ¬Ã…â€œs van that she bought new 4 years ago.. 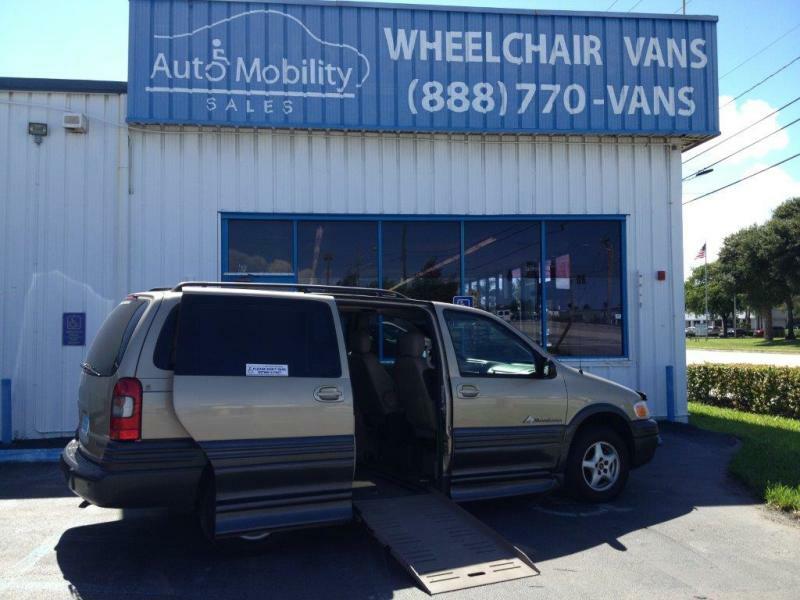 Yes the van is a 2005 but it was a dealerÃƒÆ’Ã†â€™Ãƒâ€ Ã¢â‚¬â„¢ÃƒÆ’Ã¢â‚¬Å¡Ãƒâ€šÃ‚Â¢ÃƒÆ’Ã†â€™Ãƒâ€šÃ‚Â¢ÃƒÆ’Ã‚Â¢ÃƒÂ¢Ã¢â‚¬Å¡Ã‚Â¬Ãƒâ€¦Ã‚Â¡ÃƒÆ’Ã¢â‚¬Å¡Ãƒâ€šÃ‚Â¬ÃƒÆ’Ã†â€™Ãƒâ€šÃ‚Â¢ÃƒÆ’Ã‚Â¢ÃƒÂ¢Ã¢â‚¬Å¡Ã‚Â¬Ãƒâ€¦Ã‚Â¾ÃƒÆ’Ã¢â‚¬Å¡Ãƒâ€šÃ‚Â¢s personal demo until Feb. of 2007. The van is in very good condition as can be seen from the pictures. There are no dings or scratches on the van whatsoever. She had all services done per the manufacturer and done at the dealer; I have all of the records. Now for the details on the extensive conversion package.. 1. Floor dropped 12". That is full stainless steel with carpet overtop and a plastic floor cover to protect the carpet. Provides great interior room. 2. Power sliding door with fold out ramp. 3. Auto kneel feature that can be turned off to reduce the angle of the ramp. 4. Both drivers and passengerÃƒÆ’Ã†â€™Ãƒâ€ Ã¢â‚¬â„¢ÃƒÆ’Ã¢â‚¬Å¡Ãƒâ€šÃ‚Â¢ÃƒÆ’Ã†â€™Ãƒâ€šÃ‚Â¢ÃƒÆ’Ã‚Â¢ÃƒÂ¢Ã¢â‚¬Å¡Ã‚Â¬Ãƒâ€¦Ã‚Â¡ÃƒÆ’Ã¢â‚¬Å¡Ãƒâ€šÃ‚Â¬ÃƒÆ’Ã†â€™Ãƒâ€šÃ‚Â¢ÃƒÆ’Ã‚Â¢ÃƒÂ¢Ã¢â‚¬Å¡Ã‚Â¬Ãƒâ€¦Ã‚Â¾ÃƒÆ’Ã¢â‚¬Å¡Ãƒâ€šÃ‚Â¢s seat can be easily removed. 5. Both drivers and passengerÃƒÆ’Ã†â€™Ãƒâ€ Ã¢â‚¬â„¢ÃƒÆ’Ã¢â‚¬Å¡Ãƒâ€šÃ‚Â¢ÃƒÆ’Ã†â€™Ãƒâ€šÃ‚Â¢ÃƒÆ’Ã‚Â¢ÃƒÂ¢Ã¢â‚¬Å¡Ã‚Â¬Ãƒâ€¦Ã‚Â¡ÃƒÆ’Ã¢â‚¬Å¡Ãƒâ€šÃ‚Â¬ÃƒÆ’Ã†â€™Ãƒâ€šÃ‚Â¢ÃƒÆ’Ã‚Â¢ÃƒÂ¢Ã¢â‚¬Å¡Ã‚Â¬Ãƒâ€¦Ã‚Â¾ÃƒÆ’Ã¢â‚¬Å¡Ãƒâ€šÃ‚Â¢s seat position have an "EZ Mount" system in place. This allows for a wheelchair to be locked down in either position for safety. There is a remote mounted on the dash to unlock this system. 6. The floor is completely smooth and has tracks built in so that a chair could be strapped in the back; also the floor is already set up for an "EZ mount" to be installed back there if one chose to not remove one of the front seats. 7. The van is equipped with hand controls to enable a person that does not have use of their legs to be able to drive using only their hands. 8. Ground effects to compliment the factory two-tone paint scheme that makes it appear very stock. If you have looked around at some vans you know what I am talking about. 9. Remote start to enable you to start the van and either heat it up or cool it down prior to getting in. Very convenient when it is hot or cold outside. Some of the factory options are as follows. All the standard equipment, power windows, power locks, power seats, power sliding door, auto leveling, 3.4 liter V-6, Automatic transmission, CD player, ONSTAR. If you are not familiar with Onstar, it is a satellite based system that is hard mounted into the vehicle. 12" Dropped Floor, dual mounting systems, hand control. Full lowered stainless floor 12"